The Oral History of Memes: Where Did "Hey Girl" Come From? Memes are everywhere. They've taken over pop culture and began to find their way into almost every facet of our lives. From "Show Me the Receipts" to "The Most Interesting Man" to "I Can Haz Cheezburger"—to invent a meme is to live on forever in infamy. But as these sayings and slogans start to take on a life of their own, the rest of the world typically forgets how they even started in the first place...or what they mean at all. That's where E! News comes in. "Hey girl, let's stay in and make Pinterest recipes." "Hey girl, is your name Google? Because you've got everything I'm searching for." If hearing a phrase like that instantly conjures up images of Ryan Gosling giving the camera a sly grin, then you've been bit by the Hey Girl meme bug. This not only is the actor's biggest Internet legacy, but it's probably one of the biggest Internet moments, period. The trend of photoshopping romantic pronouncements over his beautiful face has been going strong for years now and has no signs of stopping. There are even Hey Girl pillows! Now that's a movement. But this meme is also one of the most mysterious. Even RyGos himself is completely baffled as to how an entire corner of the digital globe became obsessed. As he proclaimed in this promo for his film The Nice Guys, "I never said it! Now, I understand if you're in a movie and you say, 'you complete me' or 'I'm just a girl standing in front of a guy,' and that follows you around and you've got to own that. But I never said it." The Oral History of Memes: Where Did Show Me the Receipts Come From? So where, if you'll pardon our French, did this d--n meme come from? And the answer is: It came from one random Ryan Gosling fan. The blog F--k Yeah Ryan Gosling first debuted way back in December 2008. It began as, basically, a forum for blog creator Douglas Reinhardt to air his undying love for the Gos in the form of photo tributes. He then began captioning them starting with the phrase "Hey Girl." The blog essentially turned into a list of photos that imagined what it would be like if Ryan Gosling was your boyfriend. What would he say? How would he treat you? How would he handle it if he was sick and tired of you filling up the DVR with old episodes of Grey's Anatomy? FYRG started picking up steam when, in early 2009, the website Jezebel got wind of its posts and wrote a shoutout to the ingenious idea that was imagining being in a couple with Gosling. Once other RyGos fans started picking up on this trend, all Internet hell broke loose. After all, with nothing but some bare minimum Photoshop skills and a Google image search, anyone could make their own Hey Girl meme. 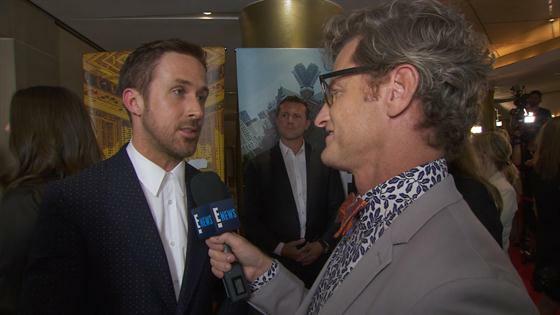 Things got really meta when Gosling himself got wind of the meme. As you can imagine, when you're the source of one of the Internet's favorite memes, you're going to hear about it a lot. The actor was completely in the dark about the trend (which means he doesn't Google himself; props to him for that) until he started noticing people on the street calling out to him with the meme's signature opening line. After a few dozen "hey girl" greetings from strangers, one does tend to catch on. Then in 2010, MTV had the genius idea to bring the meta vibes during an interview for his film Blue Valentine. They brought along a few of their favorite versions of the meme and had Gosling read them aloud, and the Internet exploded. Seriously, it went up in flames. And by "flames," we mean literally every website in existence wrote about this fantastic corner of the World Wide Web. Since then, there have been all sorts of RyGos spinoffs—albeit none as funny or original as Hey Girl. There's Ryan Gosling Won't Eat His Cereal, in which a Vine star superimposes serious Gosling acting scenes with a slowly approaching spoon full of cereal. There's Feminist Ryan Gosling, which takes the Hey Girl meme and turns it into awesome girl power mantras. Like "Hey girl, keep your laws off my body but keep your hands on it." Or "Hey girl, I stood with Wendy Davis but I'd lie down with you anywhere." We should also mention Shakespearean Ryan Gosling, Typographer Ryan Gosling and Ryan Gosling, Disneyland, Cats, among others. (You can just use your imagination as to what those are about.) Thank you for making the Internet so wonderful, Ryan.